As you look to download your Facebook videos, keep in mind that the MP4 file format offers you the best chance to maintain the quality of your favorite memories over the long term. MP4 file quality remains the same even if you're only downloading your favorite ten second clip of a cat standing on only two feet! Moreover, downloading your Facebook to MP4 format allows for easier playback on your portable devices. If you're going to download a video, why not ensure that you'll be able to use it any and every way possible? 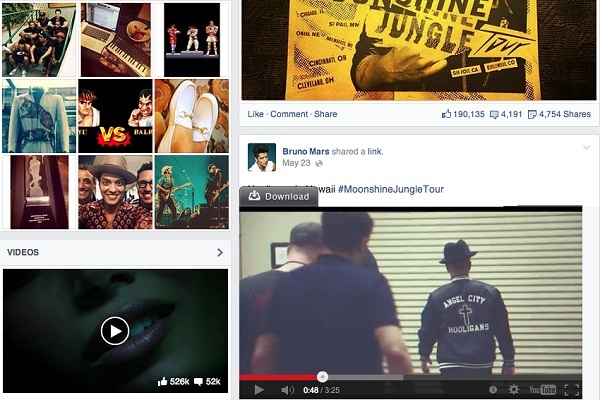 Now, I will show you how to download or convert Facebook video to MP4 format. 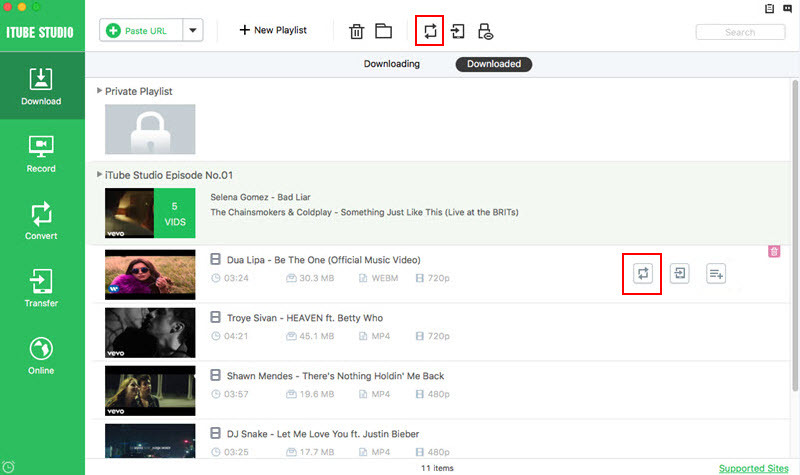 iTube Studio can help you directly download videos from Facebook to MP4 format. 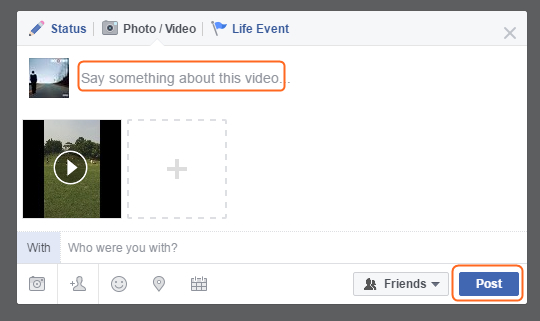 You can also import Facebook videos stored in your computer to the program and then convert them to MP4 format. Now click the "Free Download" button below to explore the fabulous program. With this smart tool, you are also able to download videos from other 10,000+ sites like YouTube, Vimeo, Dailymotion etc. 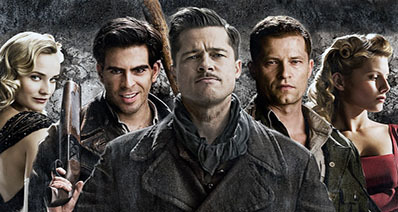 The available resolution is up to 4K UHD. This program supports a variety of output format and offers different presets for mobile devices. The built in media player lets you enjoy the video clip with high-definition quality. 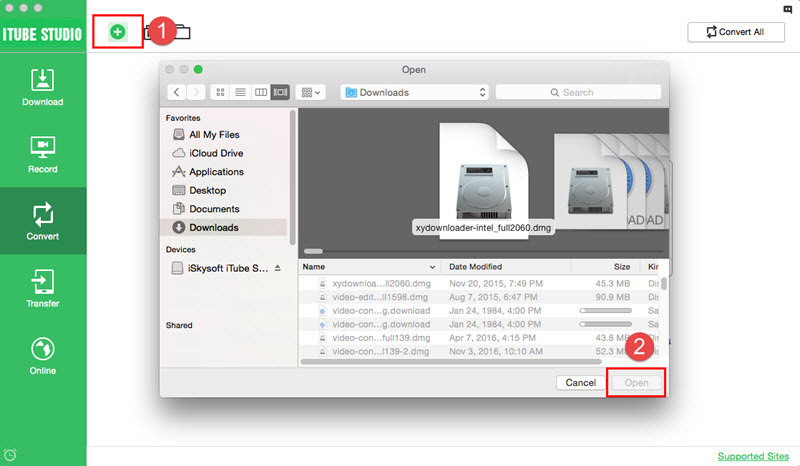 Using iTube Studio for Mac, you can easily download Facebook videos in MP4 format. Below is the tutorial on how to achieve the goal. 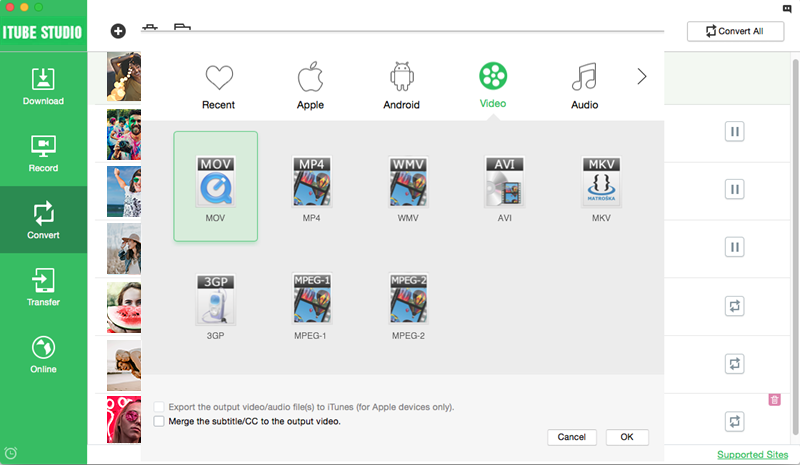 Open iTube Studio for Mac and then visit the Facebook video you wish to download. Remember to go to the video very own page, not your News Feed. When you play the video, you will see a "Download" button appearing on the top left corner. Click it to add the video to the download queue. You can check the progress by hitting the "Downloading" tab. From here, you can freely cancel, pause and resume your files. When the download is finished, you can hit the "Downloaded" tab to access the file. Then click the "Add to Convert List" button next to the video clip to send the video to "Convert" menu waiting for conversion. Then open "Convert" menu, click the "Convert" icon on the right of your video to activate the window for output format. Choose Video > MP4 and click "OK" to start the Facebook to MP4 conversion. If you are a registered user, you can turn on the "Download then Convert" button to set MP4 as the output format before download videos from Facebook. Then the program will finish the whole process automatically. If you have some Facebook videos stored in your local hard drive, you can import them to iTube Studio for Mac and convert them to MP4 format. 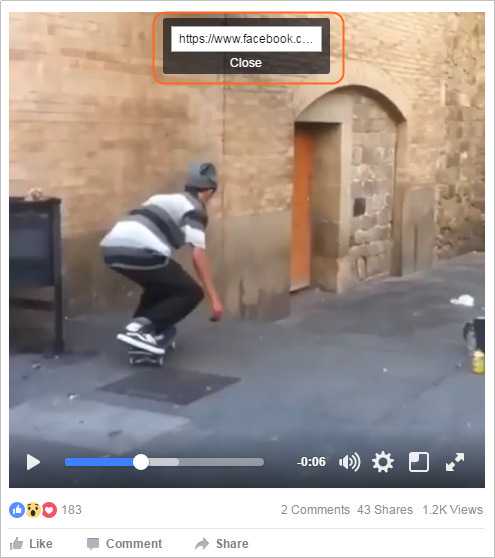 To load your Facebook videos to the program from the local Mac computer, you can open iTube Studio "Convert" menu and click the "+" button on the top of the interface. And then choose the target file then click "Open" button to add it to the program. After the file has been loaded, you can directly click "Convert" icon on next to your target file to set the output format in the pop-up window. Then click "OK" to start your Facebook to MP4 conversion. Like its audio counterpart, the MP3, the MP4 video format is one of the most versatile video formats available. Unlike the FLV, or Flash Video Format, the MP4 works just as well on mobile browsers as it does on a desktop and is supported by HTML5. MP4 files are often created using H.264 encoding, which compresses the video without sacrificing its quality. Instead of settling for low-quality FLV videos, or AVI conversions, Internet users can now upgrade to the high-quality MP4 format without sacrificing available storage space. The MP4 is also compatible with a wide variety of devices. The ever-popular iOS and Android devices can play MP4 files with the proper software. You'll also have an easier time playing an MP4 file on iTunes than you would an FLV file. The MP4 standard is also open, not proprietary. In other words, anyway can use the MP4 format to create or preserve their favorite video files. MP4 files also allow for online video streaming. In other words, if you were to upload an MP4 file to a website, you could watch it as the video downloads just like you would a Flash file.